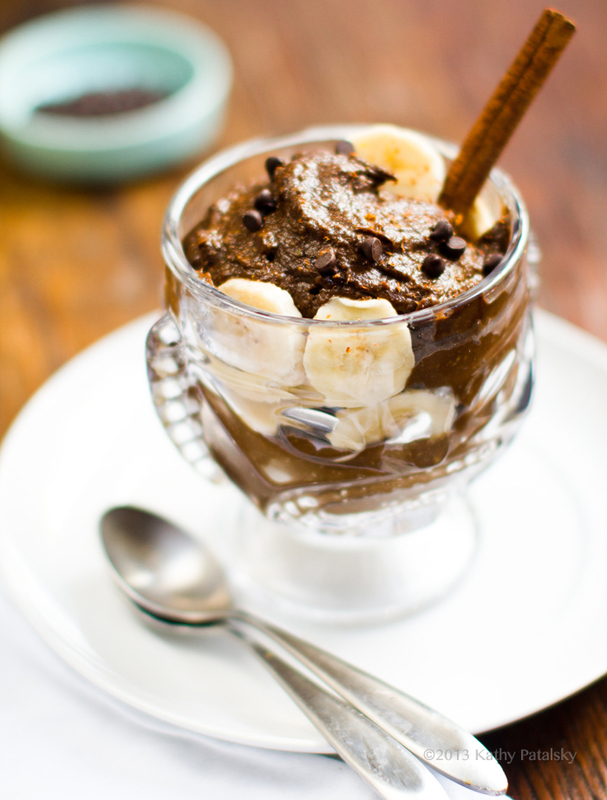 Chocolate Avocado Mousse Recipe. Two Ingredients. Easy Bliss. 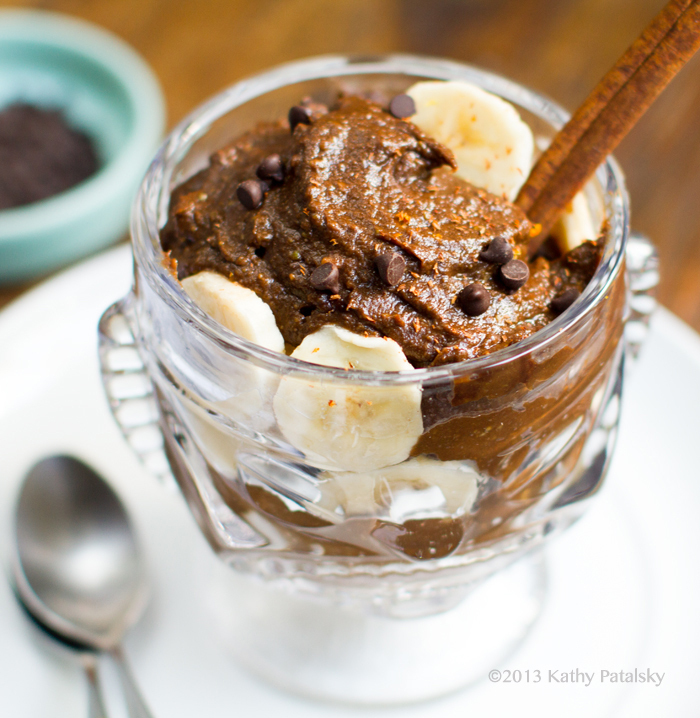 This vegan Chocolate Avocado Mousse is creamy, rich and decadent. 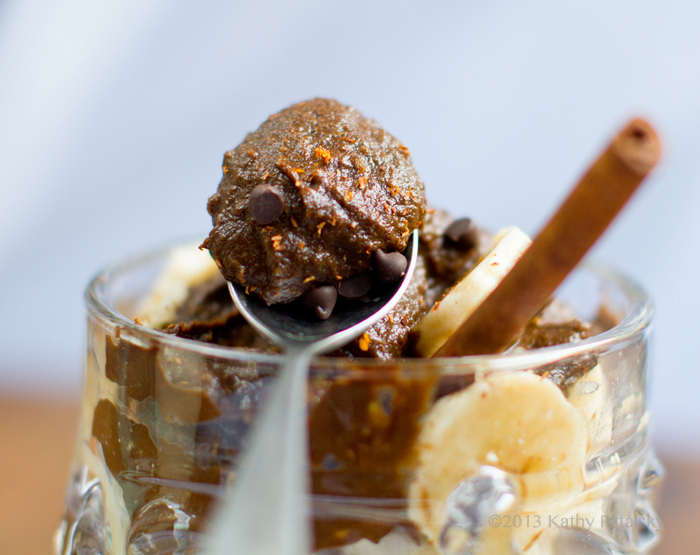 Silky dark chocolate flavor in every velvety spoonful. But the best part about this recipe is how incredibly easy it is. Two base ingredients! Some Site News!! I was SO exited to launch a brand new design to Healthy. Happy. Life. last Friday. I am loving the new look and I hope you guys love it too! 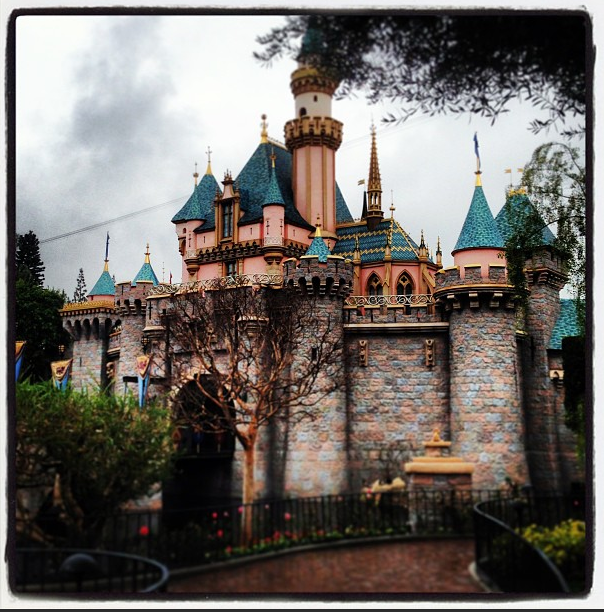 Wednesday is my birthday, and so just after my husband and I finished all the tech work on my new website design launch, we drove off for a quick getaway weekend to Disneyland. Some speckled rain showers started a soggy Saturday morning in the Magic Kingdom, but I skipped across the shiny cobblestone path, winding towards Sleeping Beauty's castle and everything seemed to glow with pure, unabashed, innocent happiness. 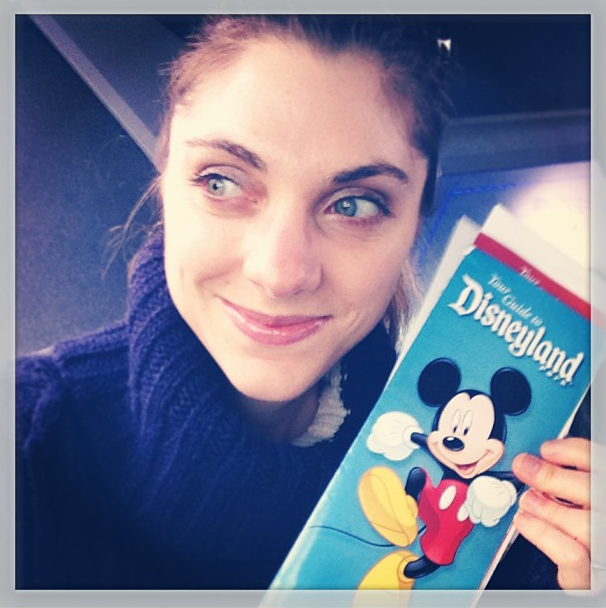 I don't think I will ever grow out of Disneyland bliss. Mental vacation? Yes please! (The tiki glass in these choco-mousse photos is actually a souvenir glass I picked up at Trader Sam's bar at The Disneyland Hotel.) This trip I tried some new-to-me rides at California Adventure like Tower of Terror and California Screamin'. 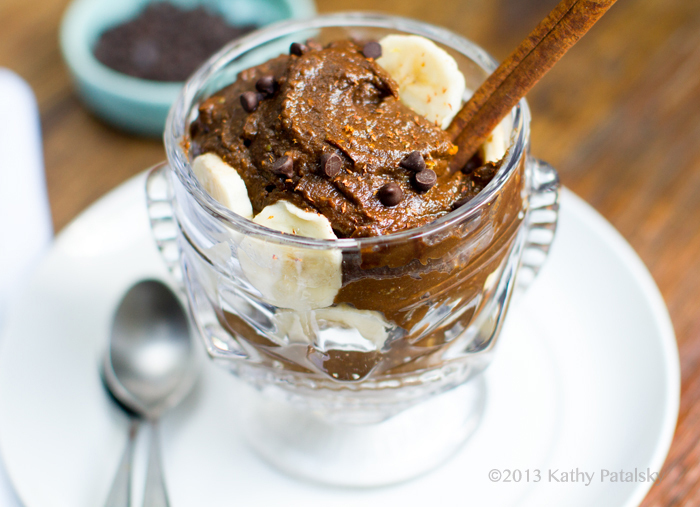 You can make chocolate avocado mousse a variety of ways. 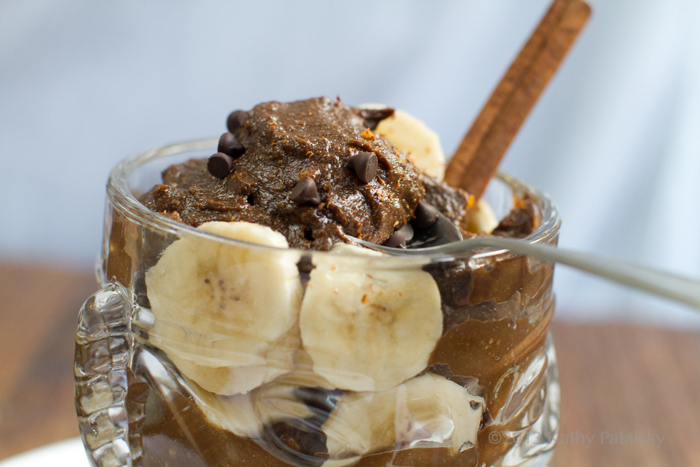 * Add some melted chocolate for a richer accent.. Avocado + melted chocolate chips + agave syrup + cocoa powder... 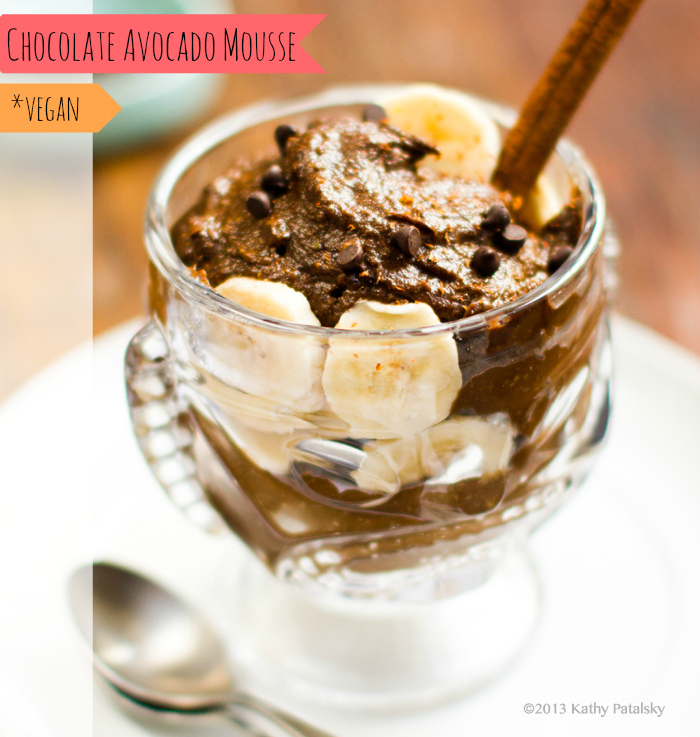 This vegan choco-avocado mousse recipe by Giada is pretty awesome for a fancier version. 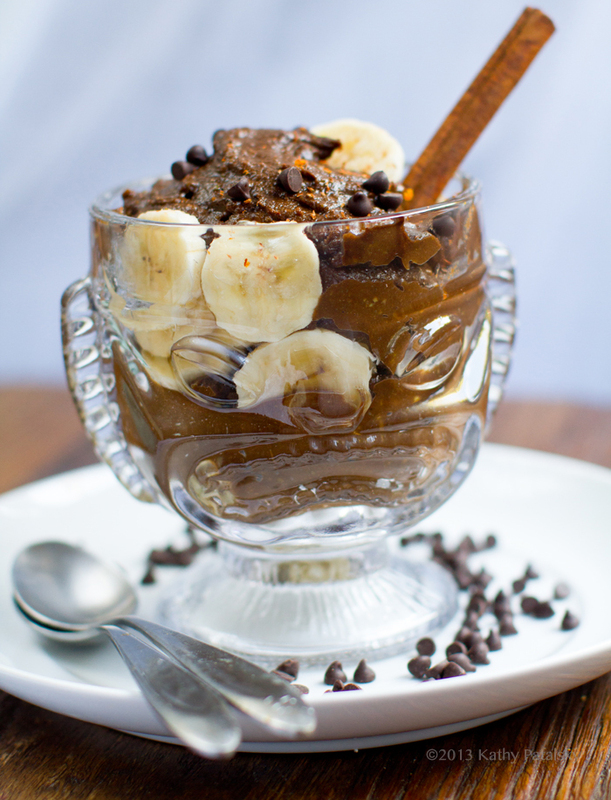 OR you can try my idea for making a two ingredient mousse.. 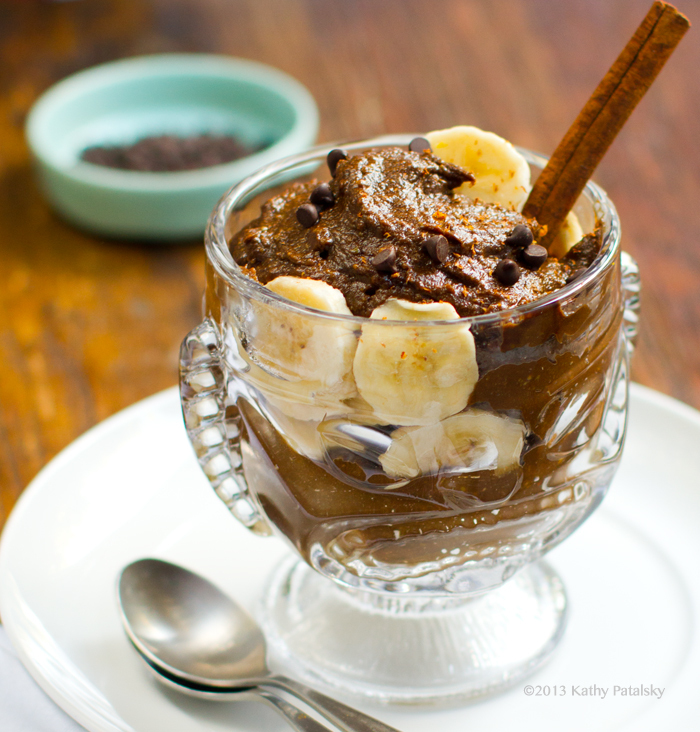 The trick is to use your favorite sweetened cocoa powder. Whatever you like to use for making pre-sweetened hot chocolate can be used. This way in one easy scoop you are adding both cocoa and sweetener. You can even use flavored cocoa mixes if you'd like .. mocha, mint, hazelnut, Aztec spiced etc. I actually used an Aztec spiced, vegan hot cocoa mix and is was awesome. This is especially useful when spring weather hits and you want to use up any leftover hot cocoa mix in your pantry. * Or build a mousse parfait! Or keep it super simple and just serve the mousse as is. Simple. 1. Combine the ingredients in a large mixing bowl. Using a fork, masg and large chunks of avocado. Mash very well before blending. 2. 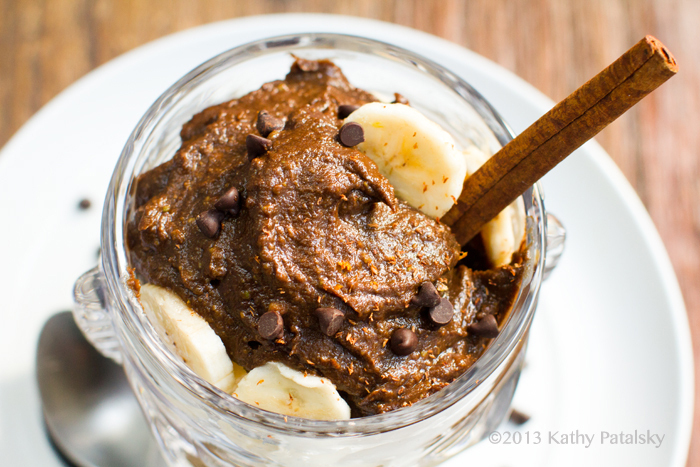 Using a hand or stand mixer, whip the avocado with the cocoa until smooth and creamy. 3. Add in any optional add-in ingredients. 4. Transfer to serving dish(es) or build a mousse parfait by alternating mousse with fruit, granola, crushed cookies and more. Smooth into a whipped peak with the back of a spoon. Chill in the fridge for at least twenty minutes before serving. Can be made a day in advance and stored in the fridge, covered. 5. To serve, top with optional garnishes and accents. Calories: This depends on how many calories are in your brand of cocoa. But normally, an avocado has around 270-300 calories and 1/4 cup of hot cocoa mix about 100-140 calories. So if two people split two people with no extras, the calories = about 200 per person. Healthy Nutrients. 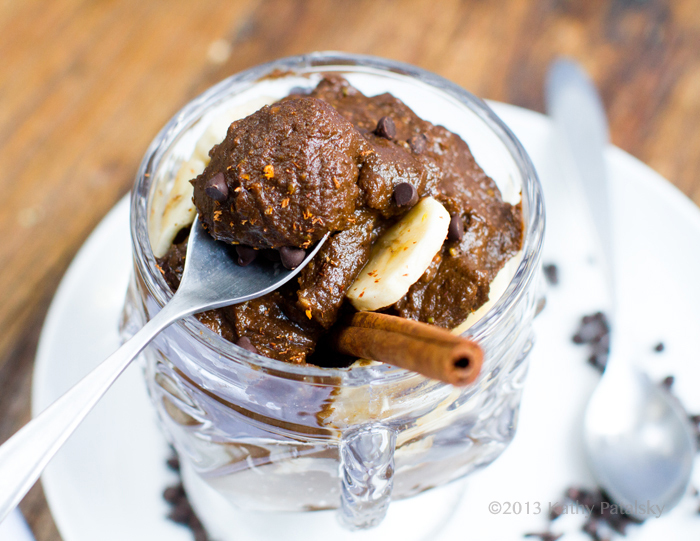 This mousse is loaded with healthy fats from the avocado, heart-healthy dark chocolate antioxidants and it is free of soy, dairy and gluten. Not bad for a decadent dessert!